In Collins Roll II ‘Dethick’s version’ ( lost original, 15th century additions to above only), the Arms of Malg’ de Eyleston are again given as Per Pale Gules and vert an Eagle displayed Argent. Arms-Per pale gules and vert an eagle displayed argent,membered or. Crest-Out of a ducal coronet an eagles head gules, beaked or. 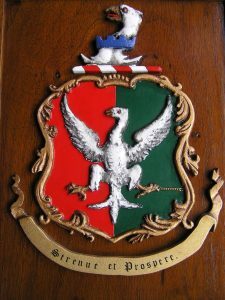 Arms – Per pale gules and vert, an eagle displayed argent charged on breast with a crescent for difference. Crest – An eagles head argent, erased gules, murally gorged azure. 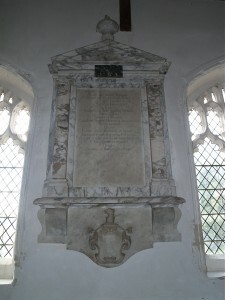 Other references can be found in St Mary’s church at Gestingthorpe where John Elliston of Gestingthorpe has his memorial. 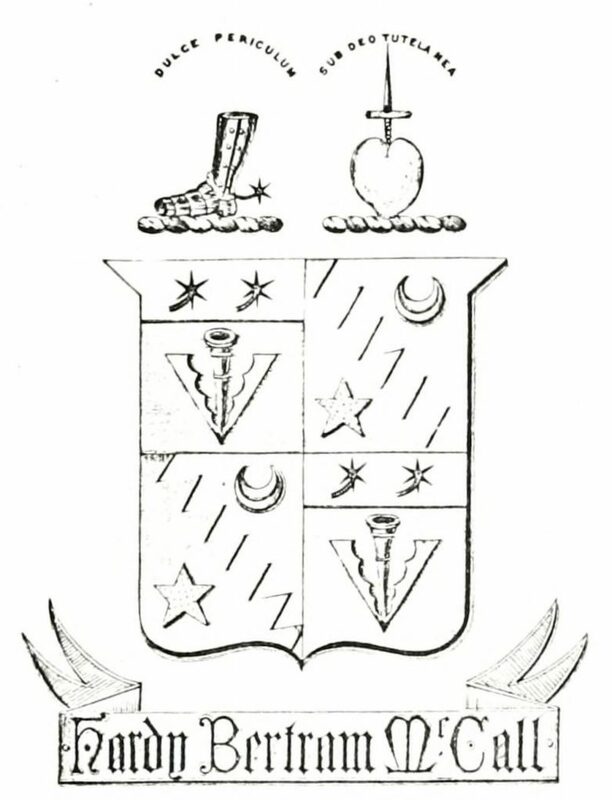 The arms were also in use by James Elliston of Clare on Merchant Tokens he issued. John of Gestingthorpe and Jospeh Elliston of Tillingham and Issac Elliston of Little Cogeshall are distant cousins. The common ancestor seems to be William Alliston of Castle Hedingham c1480 to 1556 or his Father John. The college of arms was formally incorporated in 1484 so the Alliston coat of arms probably pre-dates the formation. 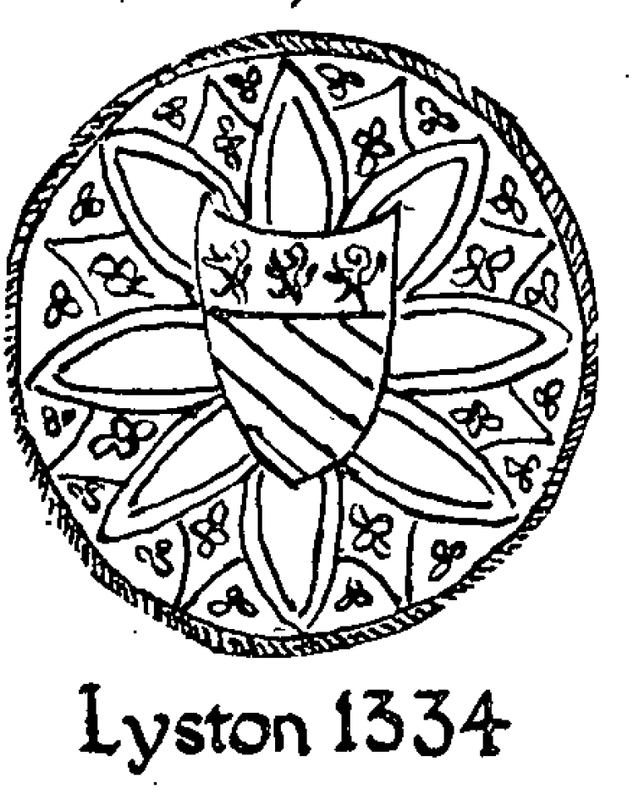 The coat of arms came into use by the Ellistons shortly after the battle of Bosworth about 13 miles from Ayleston in Leicestershire. 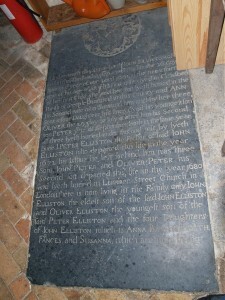 William Elliston was left 40s by John De Vere the 13th Earl of Oxford who was commander at the Battle. He was called a Yeoman and as such was probably one of De Veres Guards. His father may have fought at the battle. These arms are suspected to have been acquired post Tudor and not the original arms of the Allistons. Lawrence Alliston is also referred to as Lawrence Alston the Manor documents of Castle Hedingham. 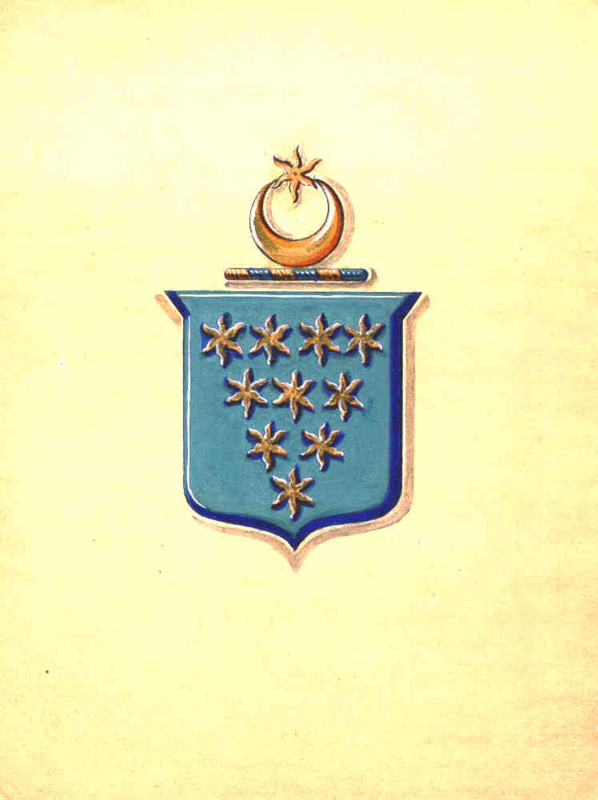 Original blazon: Az. ten estoiles or, four, three, two, and one. Crest: Out of a crescent ar. an etoile or. (Saxham Hall, Suffolk, and Odell, co. Beds, Extinct Baronet). 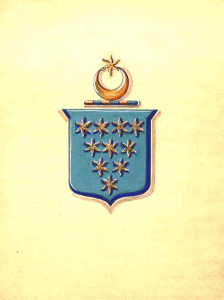 A similar coat of arms can be found on the Drewry arms quartered with the Listons http://www.anniebees.com/Drewry/ The difference being that the stars are actually flowers. 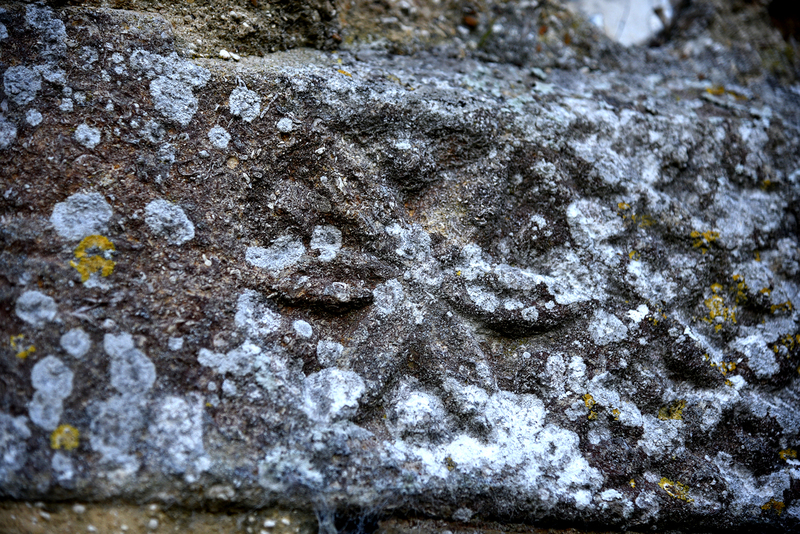 The church at Liston from whence the Alliston surname originates contains on the North Wall Lintel flowers of a similar style to the ones shown here. The family history book by McCall shows their arms quartered with those of the Scottish Liston family as his mother was a Liston. Note the Crescent and Star. 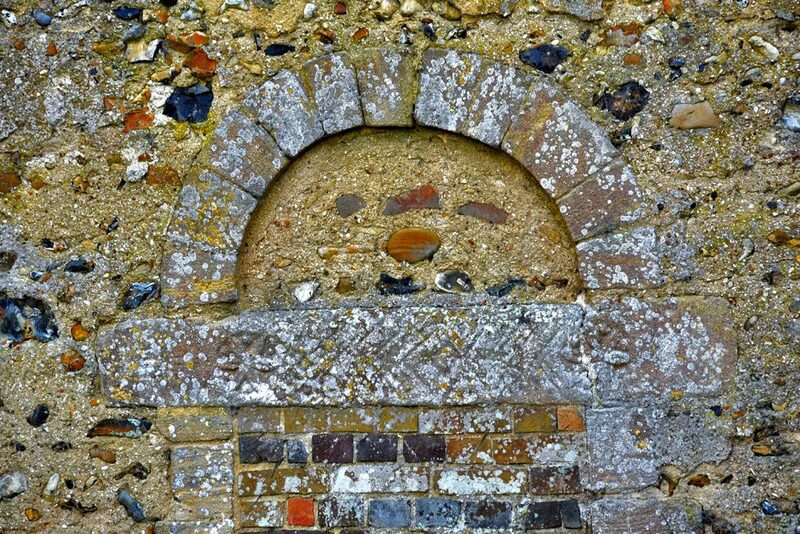 The church door in the village of Liston, Essex is very similar if you take the arch to be the crescent, two stars appear underneath and the chevrons are on the Lintel. There is another coat of arms described by Revd. 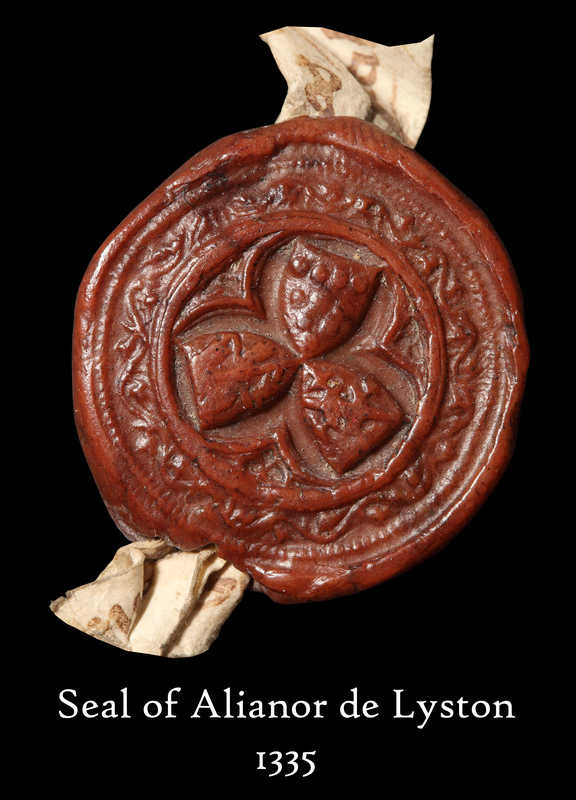 Edmund Farrer F.S.A in his work Early Suffolk Heraldry by The Suffolk Institute of Archeology and Natural History, this was used by Johannes De Lyston in 1334 as a seal on some land transactions. It is likely that it is not his. The closest match I can find is the Lisle family at Wooten on the Isle of Wight. A John De Insular Knight of Essex in the time of Edward II is mentioned here …. 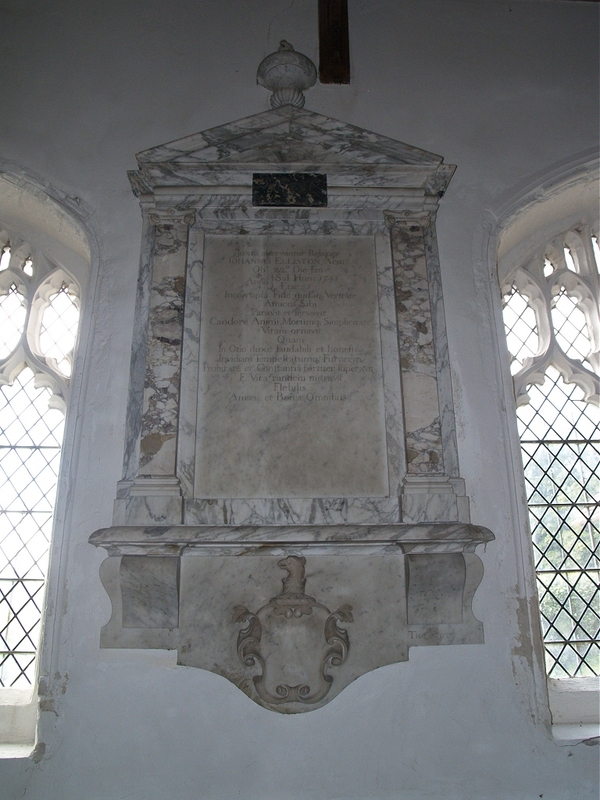 In Westminster Abbey we have the Lyston arms showing on the Tomb of Lewis Robessart who was standard bearer to Henry V.
The arms of Liston on this tomb are a recent restoration and although similar do not quite match. I suspect they may have had a crescent on top like the Alston arms rather than the extra bezants.